The kidney diet is a bit restrictive in many areas, but you can still find good foods and recipes to fix and eat. This special kidney diet helps you to manage your blood sugar levels, and also help reduce the amount of unwanted waste your kidneys process, along with fluids. You and your dietitian will work out the exchanges of protein, fat, and carbohydrates that you will need on a daily basis. Your sodium, phosphorus, and potassium will also have to be worked out in your meal plan since you don't process these nutritional elements correctly any longer. Portion control in this diet plan is essential. You will need to accurately weigh many foods to get the right serving size. Your food labels are important sources of information on your renal diet. Many choices such as diet colas, peanut butter, some cereals, and even lemonades and teas are loaded with sodium and phosphorus. Eating your meals on your renal diet plan at the same time each day is important, just as it is for your diabetes anyway. Spacing out your food allowances is important to allow you more flexibility in snacking. Milk that is skim or fat-free; Non-dairy creamer, plain yogurts, sugar-free puddings, sugar free ice-creams, and sugar-free nondairy desserts. White bread, unsweetened refined dry cereals, cream of wheat, grits, noodles, pastas, rices, bagel (small), hamburger bun, unsalted crackers, cornbread made from scratch, flour tortillas. Apples are allowed along with apple juice, applesauce, apricot halves, strawberries, blackberries and blueberries. You can also have low-sugar cranberry juice, cherries and fruit cocktail, grapefruit, grapes, grape juice, kumquats, oranges, pears, pineapples, plums, tangerines and watermelons. For starchy vegetables eating carn, peas, mixed vegetables with corn and peas in moderation, as they are high in phosphorus. You can have potatoes that are soaked to reduce potassium. See video on this. 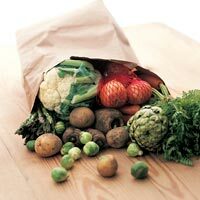 For non-starchy vegetables, you can have asparagus beets, broccoli, brussel sprouts, carrots,celery, cabbage, cauliflower, eggplant, frozen broccoli, green beans iceberg lettuce, kale, leeks, mustard greens, onions, okra, red and green peppers, raw spinach, radishes, snow peas, summer squash and turnips. Chocolate milk, buttermilk, sweetened yogurt, sugar-sweetened pudding, ice cream with sugar, sugary nondairy frozen desserts. On the breads list of forbidden foods are whole wheat bread, sugary cereals, bran, granola or whole wheat cereals, instant cereals, whole grain hot cereals,gingerbread, pancake mix, cornbread mix, biscuits, salty snacks like potato chips, corn chips, peanuts and crackers. On fruits you must avoid avocados, bananas, cantaloupes, dried fruits such as raisins, dates, prunes and fresh pears. Honeydew melons, kiwis, star fruit, kumquats, mangoes, papaya, nectarines, oranges, and orange juice and pomegranate are all things to stay away from. Baked potatoes, sweet potatoes, yams, baked beans, dried beans, succotash, pumplin and winter squash are starches to be avoided. Artichokes, fresh bamboo shoots, beet greens, cactus, cooked Chinese cabbages, rutabagas, sauerkraut, cooked spinach, tomatoes, tomatoe sauce or paste, tomato juice, and vegetable juices must all be avoided. On the higher protein foods, you can eat things like lean cuts of meat, poultry, fish and seafood, eggs or egg substitutes. You can eat limited amounts of cottage cheese due to high sodium. You must avoid bacon, canned and luncheon meats, cheeses, hot dogs, liver, nuts, pepperoni, salami, salmon and sausages. These all have sodium counts that are too high. For higher fat foods in your condiments it is best to choose soft or tub margarine that is low in trans fats. You can also choose low-fat mayonnaise, low-fat sour cream, and low fat cream cheese. It is best to avoid bacon fat, butter, Crisco, shortening, whipping cream, and margarines which are high in trans fats. For your beverage selections which will be limited daily according to how much fluid you still put out, it is best to have clear diet sodas, homemade tea, water, or Crystal Light.You should avoid having dark colas like Coke, Pepsi, or Root Beer. Fruit juices are not good either of any type. Many of these juices have phosphoric acids which the kidneys rebel against when they are failing. Other foods to strictly limit or not have at all are candies, syrups, honey, molasses, pies, cakes, cookies, and donuts. Your sauces like bar-b-que, and ketchup must be avoided. TV dinners are bad choices since they do contain a lot of sodium. Please watch for the videos I plan to put up on the kidney diet. They will give you pointers for preparing your foods daily. If you have some good recipes for those on kidney diet plans, please share! We need them so that those with kidney disease or failure have good ideas for meals and snacks.